Consultant and Team Leader, ACP-EU Project Monitoring Unit (PMU) on the Technical Barriers to Trade (TBT) Programme. 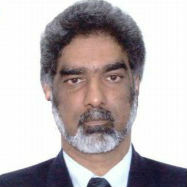 Former: Ambassador and Permanent Representative of the Republic of Mauritius to the United Nations, World Trade Organization (WTO) and other international organizations in Geneva; Coodinator of the ACP group and Lead ACP negotiator in the DDA negotiations; Chief Negotiator of Mauritius, WTO Doha Development Agenda Negotiations; Chair of Committee on Trade and Environment (CTE), WTO; Chair of the Committee on Trade and Development (CTD), WTO; Chair, Dedicated Session of the CTD on Aid for Trade and the Work Programme on Small Economies. Coordinator, ACP Group. Has consistently articulated and defended development issues of small and vulnerable economies and developing countries in general in the WTO.